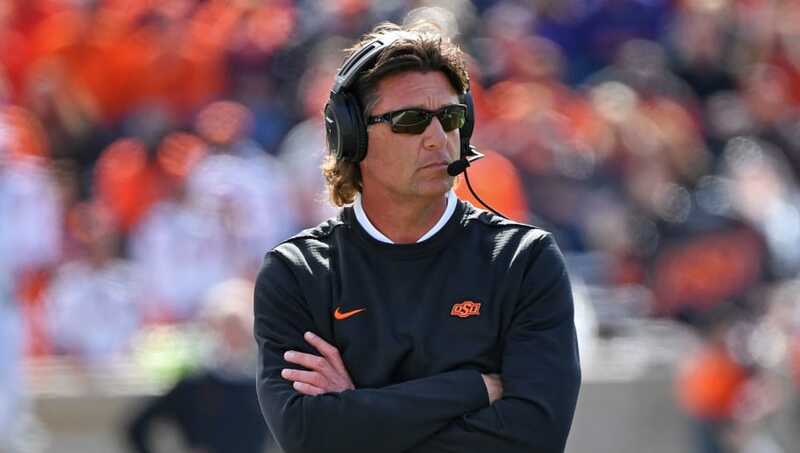 Oklahoma State head coach Mike Gundy has become known for his outspoken and, at times, unconventional ways. His most recent act falls right in line with this. Back at the start of the season, Ron "Spinozi" Benton, a local sports radio host of The Sports Animal, bet the Oklahoma State Cowboys would win more than eight games this season. The Cowboys finished the year with a 6-6 record and Benton lost his bet. Gundy's friends got wind of this and alerted him, so the coach decided to try and make things right by sending a letter to Benton, with a check for the full amount he lost on the bet. The letter read: "I have many H.S. buddies who consume way too much alcohol, which leads to listening to talk radio. The rumor is you bet on our team and lost your money. We came up short, so I thought the manly (51) thing to do is reimburse a guy for believing in our TEAM! Thanks for your loyal support! Your favorite coach, Mike Gundy." A classy, unique and funny move by Gundy, who never fails to entertain, even when his product on the field does. If I'm the radio host, I up my bet a little more next year. After all, he's got nothing to lose, right?